We do we a lot of creative fit outs for Perth companies but every-now-and-again we get handed a job that lets us do something truly unique. 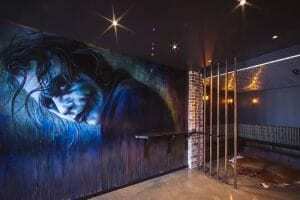 The fit out of Backlot private cinema in West Perth is one of those jobs! We transformed a tired, boring warehouse space into a purpose built private screening room for film and corporate presentations. Seating 50 guests, the venue has full catering facilities and is perfect way to treat your staff or clients to a special screening, host a product launch or throw a function for your social club! If you have a corporate event coming up and are looking for a location that will bring the ‘wow factor’ look no further than Backlot private Cinema. 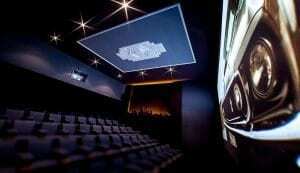 Book the Backlot private cinema online here. …And if you or somebody else you know as a very special fit out requirement be sure to get in contact with us.